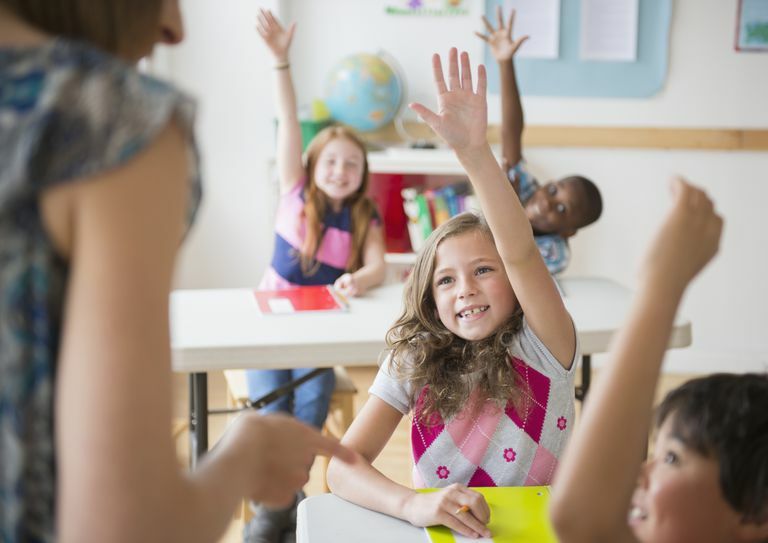 Most elementary students like to talk, so it usually isn't a problem when you ask a question that you will have a lot of hands go up into the air. However, most activities in an elementary classroom are teacher-directed, which means the teachers does most of the talking. While this traditional way of teaching has been a staple in classrooms for decades, today's teachers are trying to steer away from these methods and do more student-directed activities. Here are a few suggestions and strategies to get your students talking more, and you talking less. When you ask a question, don't expect an immediate answer. Give your students some time to gather their thoughts and really think about their answer. Students can even write down their thoughts on a graphic organizer or they can use the think-pair-share cooperative learning method to discuss their thoughts and hear the views of their peers. Sometimes, all you need to do to get students talking more is just let it be silent for a few extra minutes so they can just think. Active learning strategies like the one mentioned above is a great way to get students talking more in class. Cooperative learning groups offer students the opportunity to work together with their peers and discuss what they are learning, rather than having to take notes and listen to the teacher lecture. Try using the Jigsaw method where each student is responsible for learning part of the task, but must discuss what they learned within their group. Other techniques are round robin, numbered heads, and team-pair-solo. Think about the way students see you when you are in front of them. When they are talking, do you have your arms folded or are you looking away and are distracted? Your body language will determine how comfortable the student is and how long they will talk. Make sure that you are looking at them when they speak and that your arms are not folded. Nod your head when you agree and do not interrupt them. Take some time to form the questions that you ask students. If you are always asking rhetorical, or yes or no questions then how can you expect your students to talk more? Try having students debate an issue. Formulate a question so that students will have to choose a side. Divide students into two teams and have them debate and discuss their views. Instead of telling a student to look over their answer because it may be incorrect, try asking them how they came to get their answer. This will not only give them a chance to self-correct and figure out what they did wrong, but it will also give them the opportunity to talk with you. Share your authority by having students pose questions. 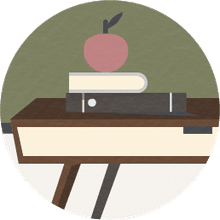 Ask students what they want to learn about the subject that you are teaching, then ask them to submit a few questions for classroom discussions. When you have a student-led forum students will feel more free to talk and discuss because the questions were posed from themselves, as well as their peers. What are some effective social studies warmup exercises?